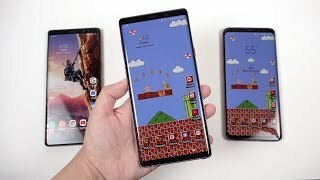 Now that the Samsung Galaxy Note9 is officially here, it’s time to find out how the phone compares to its competitors and the existing Samsung Galaxy Note 8. It will be also interesting to find out how many of the rumors and leaks turned out to be true. To find out more about the Samsung Galaxy Note9 Dubai price and release date, keep reading. Only those who are really familiar with the design of the Samsung Galaxy Note 8 will be able to tell the difference between the new one and its predecessors as the changes are really minor. It’s slightly bigger and heavier but those changes are not really visible. 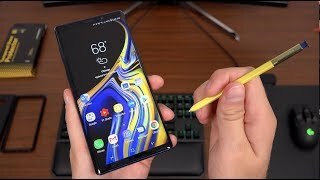 The noteworthy changes that are visible are the placement of the fingerprint sensor on the back and the bright yellow color S Pen that you get with the blue Galaxy Note 9. As mentioned earlier, the screen is slightly bigger, a 6.4-inch Super AMOLED display showing 2960 x 1440 pixels resolution, 18.5:9 aspect ratio and 516ppi of pixel density. It’s still waterproof and IP68 certified, the display is protected by Gorilla Glass 5 and the Bixby button is still there as well. Users get glass on both front and back side which means it will be a good idea to get a back cover right after you purchase this one once the Samsung Galaxy Note 9 release date UAE is here. There is almost no change if you just think of it hardware-wise, it’s the same camera users got in the Galaxy Note 8: a pair of 12-megapixel cameras with changeable aperture. However, there are new camera specific features like scene optimizer and flaw detection. If any of your image gets blurry or there is something affecting the quality of your image, you will get an alert thanks to flaw detection. It can also detect your subject and adjust all the settings accordingly. Everything else remains the same including the front camera which is an 8-megapixel one with f/1.7 aperture. There is the Apple iPhone X and Google Pixel 2 XL in the same price range as the Samsung Galaxy Note 9 Dubai price. The Samsung Galaxy Note 9 is really expensive even compared to its predecessors and the price will start from AED 3700 . 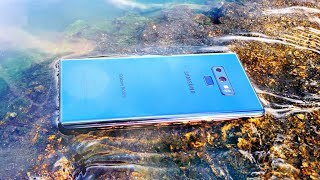 The Samsung Galaxy Note 9 release date UAE is expected sometimes after August 24. 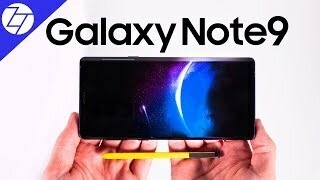 For those of you who are not interested to wait, the Samsung Galaxy Note 8 is now available for cheaper and there is also the OnePlus 6 and LG G6. It’s getting more and more difficult for smartphone makers to keep things under the wrap. We were not expecting to see the Samsung Galaxy Note 9 anytime soon but thanks to the rumor mill, we now have an alleged date and the specs we can expect inside as well. 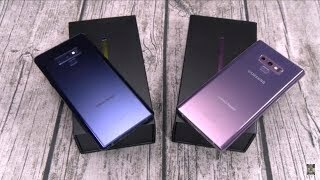 As usual, we will discuss the Samsung Galaxy Note 9 Dubai price first before getting to the details. It’s possibly going to cost slightly more than AED 3700 right after it’s here. There are multiple rumors roaming around about the design and display of the upcoming Samsung flagship so we will mostly discuss the most believable one here. As expected, it will be a near bezel-less big 6.4-inch display which makes it slightly bigger than the Samsung Galaxy Note 8. 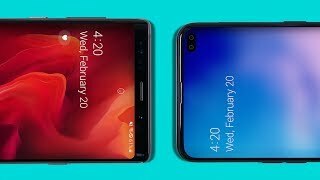 The screen-to-body ratio is expected to increase and one of the crazy rumors suggests that it will be packing in-screen fingerprint scanner. This big screen is rumored to show 2960 x 1440 pixels resolution, 18.5:9 aspect ratio and 514ppi of pixel density. There won’t be any notches like the iPhone X, LG G7 ThinQ or some of the recently released phones. The display will be protected by Corning Gorilla Glass 5 and both the front and back side will be glass with a combination of aluminum frame. It will be IP68 certified and there will be some changes in the S-Pen as well. There are rumors that it will include a microphone this time. These are just rumors for now and we will have to wait for the Samsung Galaxy Note 9 release date UAE to confirm these. After including dual aperture camera in the Samsung Galaxy S9 series, it’s only natural for the Galaxy Note 9 to pack this feature as well. From what we have learned so far, one of the cameras will be a 12-megapixel one with f/1.5-2.4 aperture and the other one will be a 12-megapixel one as well with f/2.4 aperture. There are also rumors about the phone to not include this feature but that seems unlikely. This camera will be packing super slow-mo feature as well. The front camera will receive some upgrade as well and is expected to be an 8-megapixel one with f/1.7 aperture and support for capturing 1440p videos at 30fps. You can also check out the Huawei P20 Pro right away which is getting a lot of attention for packing triple camera on the back. It’s also in the same price range as the Samsung Galaxy Note 9 Dubai price. The Samsung Galaxy Note 9 will be released earlier than expected and might show up sometimes in July, 2018. Now that you know the expected Samsung Galaxy Note 9 Dubai price, you can start saving up for this upcoming flagship device. 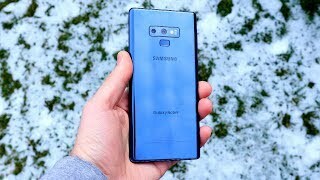 Galaxy Note 9 Review 2019 - Better than Galaxy S10 Plus? Price has increased 6% from AED 3100 on 2018-09-20 to AED 3299 today.